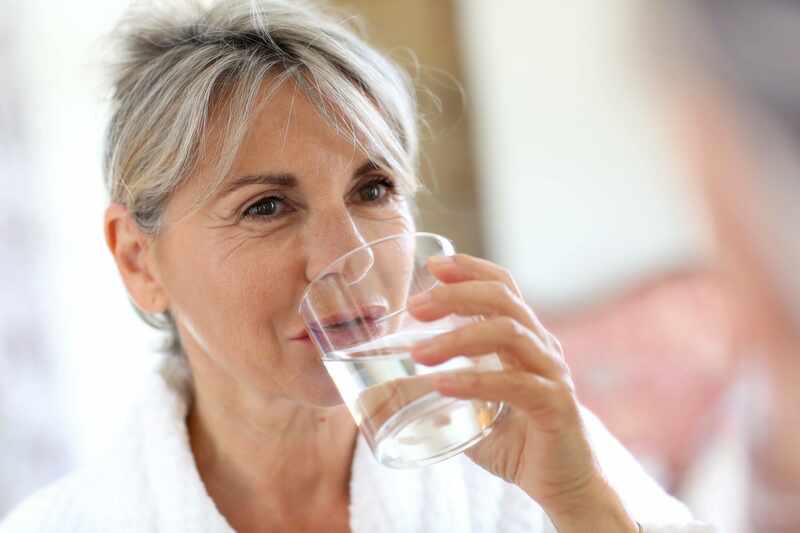 Dehydration occurs when you use or lose more fluid than you take in, and your body doesn't have enough water and other fluids to carry out its normal functions. If you don't replace lost fluids, you will get dehydrated. Common causes of dehydration include vigorous exercise, especially in hot weather; intense diarrhea; vomiting; fever or excessive sweating. Not drinking enough water during exercise or in hot weather even if you're not exercising also may cause dehydration. Anyone may become dehydrated, but young children, older adults and people with chronic illnesses are most at risk. You can usually reverse mild to moderate dehydration by drinking more fluids, but severe dehydration needs immediate medical treatment. The safest approach is preventing dehydration in the first place. Keep an eye on how much fluid you lose during hot weather, illness or exercise, and drink enough liquids to replace what you've lost. Heat injury If you don't drink enough fluids when you're exercising vigorously and perspiring heavily, you may end up with a heat injury, ranging in severity from mild heat cramps to heat exhaustion or potentially life-threatening heatstroke. Swelling of the brain (cerebral edema) Sometimes, when you're getting fluids again after being dehydrated, the body tries to pull too much water back into your cells. This can cause some cells to swell and rupture. The consequences are especially grave when brain cells are affected. Seizures Electrolytes — such as potassium and sodium — help carry electrical signals from cell to cell. If your electrolytes are out of balance, the normal electrical messages can become mixed up, which can lead to involuntary muscle contractions and sometimes to a loss of consciousness. Low blood volume shock (hypovolemic shock) This is one of the most serious, and sometimes life-threatening, complications of dehydration. It occurs when low blood volume causes a drop in blood pressure and a drop in the amount of oxygen in your body. Kidney failure This potentially life-threatening problem occurs when your kidneys are no longer able to remove excess fluids and waste from your blood. Coma and death When not treated promptly and appropriately, severe dehydration can be fatal. Read about symptoms, causes, treatments and more.